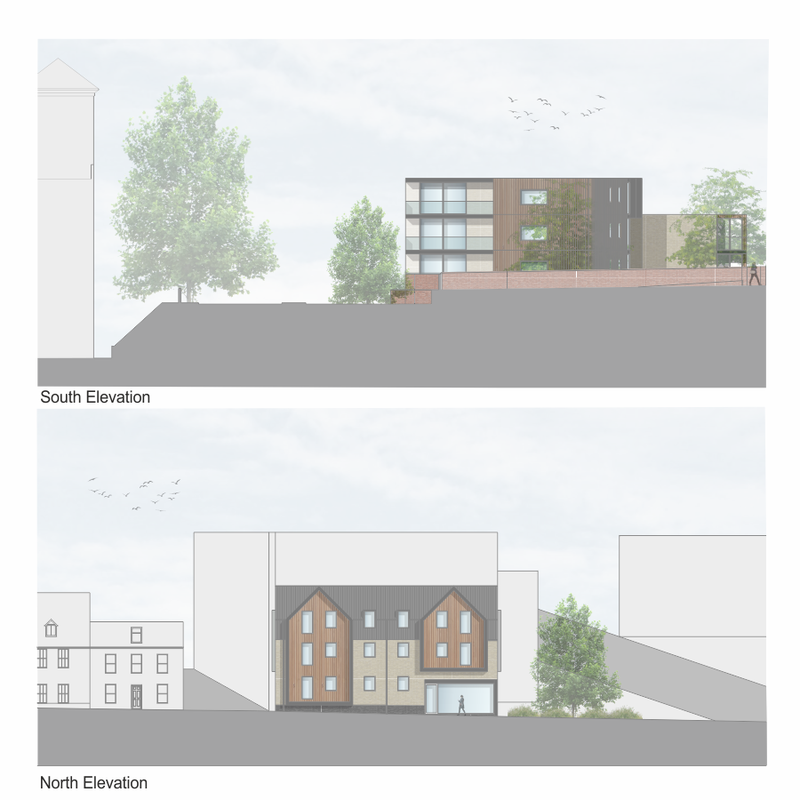 The proposed development will provide accommodation through a series of interconnecting blocks, ranging in height from 3 storeys, adjacent to Risbygate Street, to 5 storeys at the southern end of the site. This creates a gradually stepped design that follows the natural slope of the site and Parkway adjacent. A conscious effort has been made to reflect the surrounding buildings with the use of traditional ‘buff’ coloured brickwork, recognisable to this area. This will be complimented by cladding elements and windows that protrude from the elevation, adding a contemporary style and interest. The buildings shape has been designed to maximise the sites potential, whilst allowing a sensible distance from neighbouring homes and historical walls to the east and the road infrastructure to the west.